One of the great advantages of the Internet age is that not only is it possible now to find peoples’ PhD theses online, but graduate theses too. 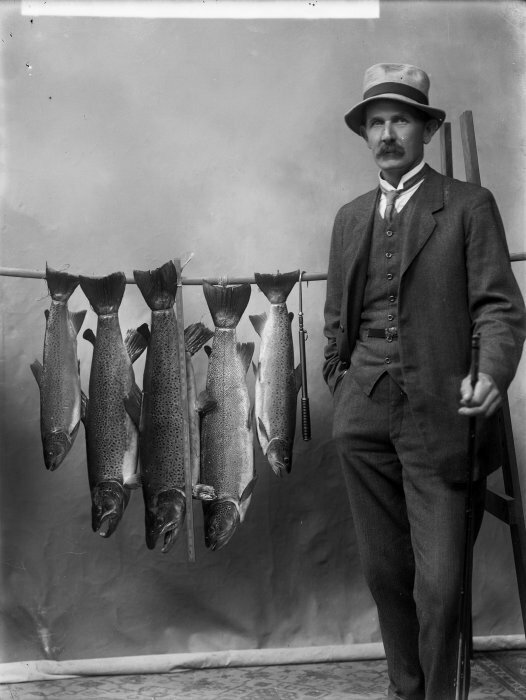 In my quest to better understand the acclimatisation of trout and salmon in New Zealand, I came across an honours dissertation by a Canterbury University history student, Jack Kós. 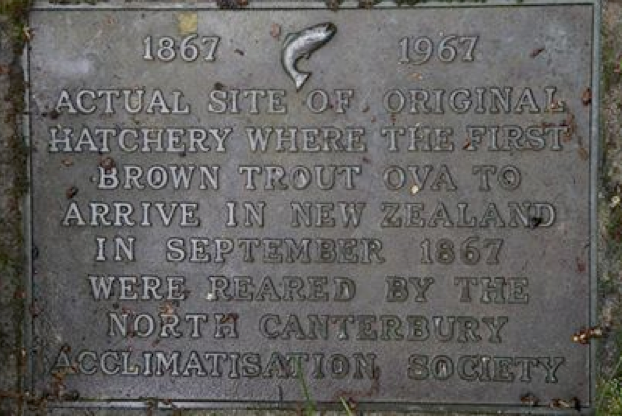 Entitled “A most excellent thing”, it documents the introduction of trout to Canterbury in 1867 (the first successful introduction in New Zealand) and the subsequent dissemination of trout throughout New Zealand. Brown trout were first successfully introduced and bred in New Zealand by Christchurch enthusiast, Andrew Mensal Johnson. With the support of the Canterbury Acclimatisation Society, Johnson imported 800 ova from Tasmania in 1867. This followed a disastrous attempt to import live fish directly from England three years before; on that attempt, all the trout and salmon perished, with only a small number of goldfish surviving the journey. Commemorative plaque marking the site of the original hatchery where Johnson raised trout. Photo by J. Kos. Of the 800 ova, only three eggs were to hatch. The establishment of a viable breeding population of brown trout hung entirely on their survival. It is likely that never before and never since had the fate of three little fish so captured the public imagination; the local newspaper satiated the public appetite for news by publishing frequent installments on their progress. A little harder to satiate was the appetite of the fish themselves. 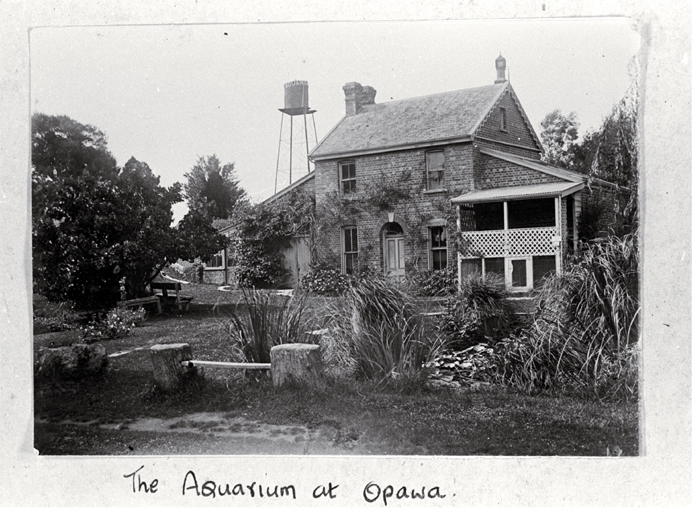 By the end of November 1867 they had consumed all of the native fish in their enclosure. And then the unthinkable happened: perhaps as a consequence of inadequate food, “they became dissatisfied with their nursery home, and one little fellow effected his escape by wriggling his way under the stones …” Just a few days later a second trout escaped in the same way. So, by the end of 1867, Andrew Johnson was left with only one trout, dashing all hopes of establishing a breeding population. Johnson continued to raise “his solitary little trout”, until a further disaster struck – a flood in February 1868 washed the remaining fish out towards the river. It was only with the faint hope of success that Johnson placed a spawning race near where the trout had been reared. Miraculously, two of the wayward trout were recaptured. Their numbers were bolstered several months later when a further 1,000 brown trout ova were shipped over from Tasmania. Improved techniques meant that the hatch rate was vastly better than the first shipment. A month after their arrival at the acclimatisation grounds, about half of the ova had hatched. So, if you are an angler, it is more than likely that you have encountered one of the descendants of Andrew Johnson’s trout. I am not an angler, but there is a personal connection in this story for me too. I have discovered that Johnson’s fish hatchery and aquarium was at 105 Clarendon Terrace in Christchurch, overlooking the Heathcote River as it makes its way out to the estuary. For several years I lived just a few houses down from this historic site on Clarendon Terrace (and now that I think about it, do vaguely remember a plaque of some sort). All just going to prove that there is history (and environmental history) everywhere. Yes, and Jack is planning to start a PhD on trout acclimatisation nationally soon. There will be a huge amount of interest in that, I am sure. Thanks for pointing out the typo – a slip of the key – now fixed!